Jem and the Holograms is a 2015 American musical fantasy drama film based on the 1980s animated television series Jem by Christy Marx. The font used for the film title in the poster is very similar to Isara desigend Gert Wiescher. Isara is a rough script written with a flat-nibbed marker, scanned and then carefully digitized to keep that spontaneous feeling. You can preview and purchase the font here. The Isara font identified above is not available for free, please follow the link above and purchase the font. Meanwhile, you can take a look at our collection of fonts for cars, pop music and apparel as well as round-ups of new & fresh fonts around the web. 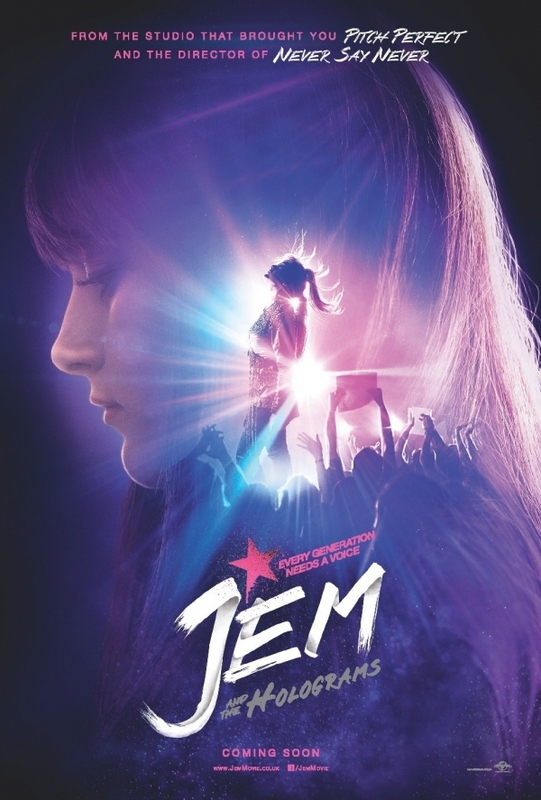 In addition to Jem and the Holograms, It seems we can’t find other examples (logos, movie posters, album covers etc.) of Isara typeface in use.